With all of the wedding planning going on over at Geeks Who Eat Headquarters, October flew by. We ate out much less this past month but we did get a few great meals. While we dined out less this past month, we traveled across the valley to find this month’s best! Let’s get started shall we? 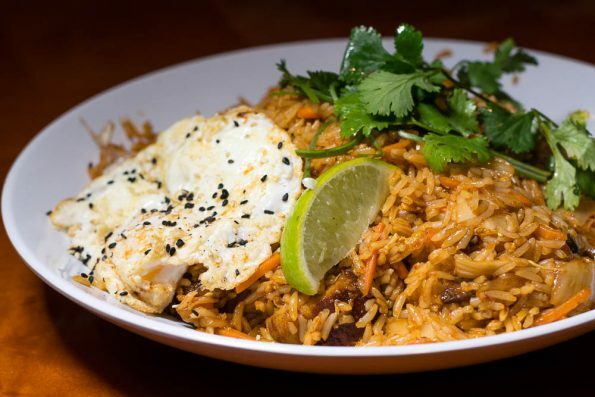 Kimchi Fried Rice from Pei Wei Test Kitchen– When we tried Pei Wei Test Kitchen we weren’t prepared for just how amazing the Kimchi Fried Rice would be. Everything about it was perfection. There was so much flavor between the umami of the sauce and the tanginess of the kimchi. Is there anything kimchi doesn’t make better? New England John Dory from T. Cook’s– The New Zealand John Dory at T. Cook’s was a new experience for us. New Zealand John Dory is not commonly served in the states but is quite popular in the UK and Australia. It has a delicate flavor and is similar to sole. 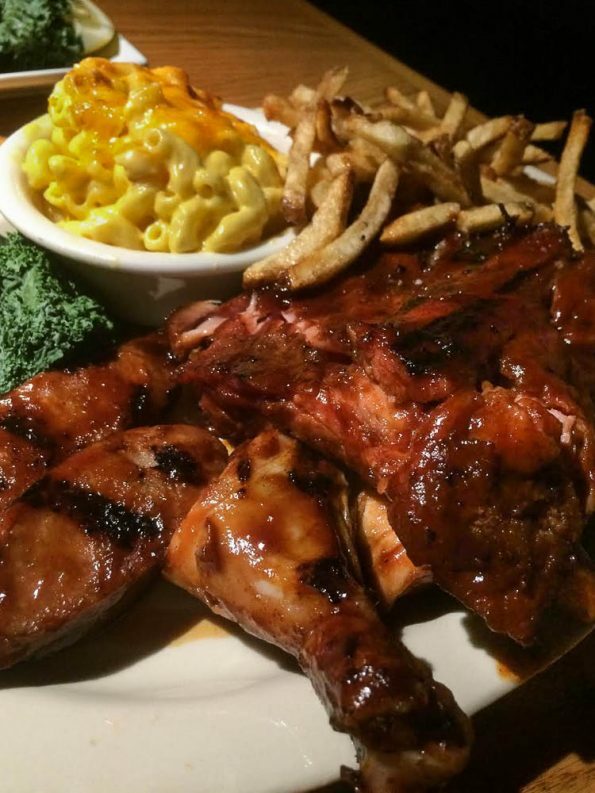 At T. Cook’s it is served very well seasoned with a crispy outer layer. If you are looking to try a unique seafood dish, this is for you! Hot Links at Bobby Q’s– The real star of our Three Meat Plate was the Hot Links. How can Hot Links possibly steal the show from ribs so tender the meat falls off the bones you might ask? Well, they weren’t super spicy but they were still packed full of flavor. Their charred flavor permeated through out the entire piece of meat! 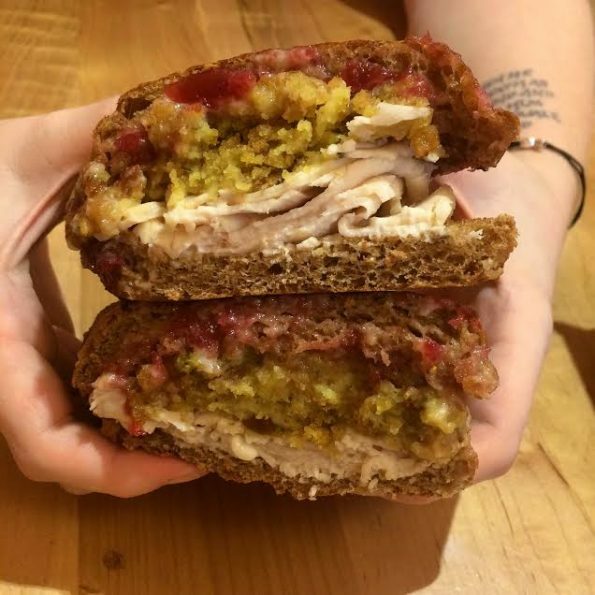 The Holiday Turkey Sandwich from Earl of Sandwich– Who doesn’t love a pilgrim sandwich? That perfect balance of savory and sweet. Not to mention, its a great way to use leftovers. No leftovers? No problem. This sandwich from Earl of Sandwich is the best of both worlds. That wraps up another delicious month! 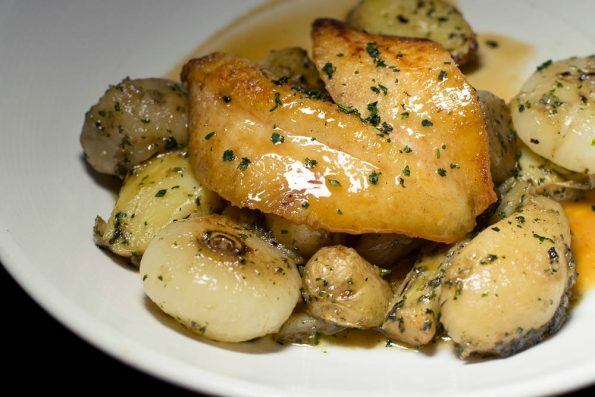 What restaurants did you try this past month and what dishes stood out? We want to hear all about it! Leave a comment below or use the hash tag #GeekEats! Until next month! *This article is comprised of both comped items and items in which the Geeks were not comped; opinions are wholly our own. View our Disclosure Policy for more info.